Your cat may also have a urinary tract infection that causes them to pee where they shouldn’t, often involuntarily. The same principle applies if your cat has diarrhea or constipation. 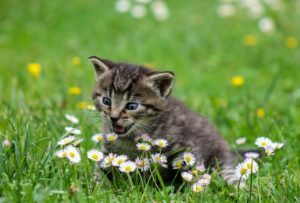 If your cat stops using its litter box, you should first and foremost have it checked for a medical problem with a urinalysis. This should be your first option instead of the following ones, because no behavioural changes can cure a medical issue. Once the medical issue has been resolved, your cat will likely return to using its litter box once the discomfort eases. 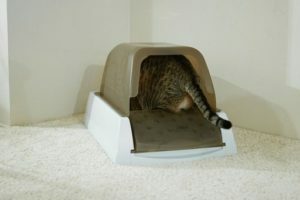 Your cat may not like to use its litter box for the simple reason that it doesn’t like where the litter box is placed. 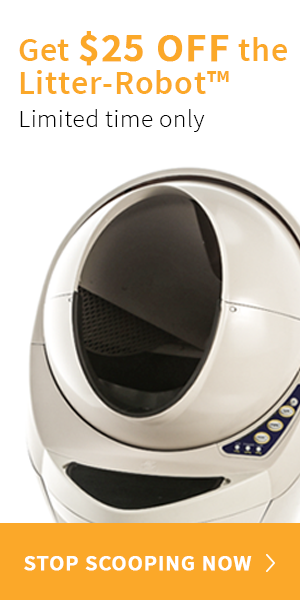 If it’s in a location where there are loud noises around like near the washer, water heater, or dryer, then your cat may dislike it just for that. Cats prefer quiet places where they can do their business without being disturbed. 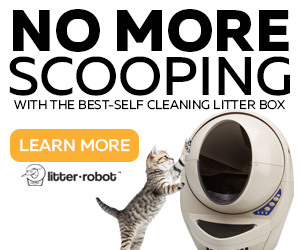 Another thing you should consider is that the litterbox should have more than one escape route from the litter box. This is part of their instinct to escape if another animal approaches them while they are doing their business. Make sure your cat has ample space to enter and exit. Don’t put your cat’s litter box in an area with too much traffic, as privacy is necessary for your cat. But at the same time, you shouldn’t put it in an area where it’s too private like a closet or a dark hallway. Cats need to know that their scent is safe from predators. Never change your cat’s litter box’s location, unless you still haven’t found the right one. But when you do, you should stop moving it. Stick with a place that is convenient for both you and your cat. Your cat may dislike using its litter box because of its smell. Either the litter box smells too bad or even too good. Because of a cat’s sensitive sense of smell, they can pick up the most subtle of odors. This is why it’s ideal to always keep the litter box clean, and why you shouldn’t use anything with strong smells to clean it up. This means you shouldn’t use bleach or any scented soap to clean the litter box. Litter box liners are also available to make cleanup easier. It’s just as they say. “If it ain’t broke, don’t fix it.” This applies to when you ‘upgrade’ your cat’s litter when there really wasn’t anything wrong with the previous one. 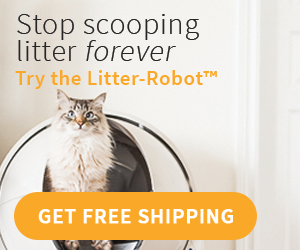 If your cat was already comfortable using a specific kind of litter, a change may cause problems. In fact, this could cause your cat to stop using the litter box. Remember, cats are sensitive to scent, so steer away from any scented litter. Not only that, cats can be very picky so it may be the texture of the litter that they are aversive to. 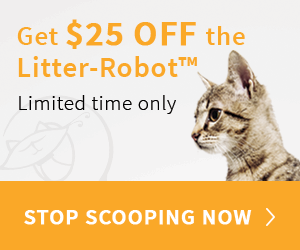 You can try switching up litter at the beginning to determine what kind your cat likes best. Then stick to it. If you really have to change the litter type for reasons like health problems, make sure to do a smooth transition. Start off by mixing the old and new litter then gradually changing the ratio by increasing the new one until finally it’s the only one your cat is using. Don’t just change everything up in one go. Your litter box needs to be shallow enough for your cat, depending on what life stage it’s in. This means smaller boxes for kittens that grow with your cat as it ages. You need to ensure that your cat can easily get in and out of its litter box. 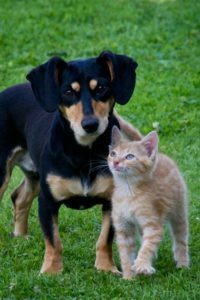 If another pet in the house like another cat or dog confronts your cat while it’s using the litter box, your cat may start avoiding the litter box to also avoid the confrontation. When this happens, consider getting more litter boxes to accommodate the newcomers so that your cat won’t have to share. This may also happen if a neighbor’s cat is visible from the litter box’s location. Spraying or marking of territory can arise from this, and you need to address that as well. You should understand that cats never do anything out of anger or spite, and that includes not using the litter box. When it happens, it’s for a reason and your cat is trying to communicate that there’s a problem you should address. This is why you shouldn’t punish your cat, as you’d only be adding to the stress and pressure that your cat is already undergoing. You might even make the problem worse. Rubbing your cat’s nose into the mess it made. It’s unhealthy for your cat. Physical punishment or putting your cat in the litter box to ‘show’ where it should be doing its business. Your cat will associate the litter box with punishment and think that it’s a place to go to be punished. Turn your indoor cat into an outside cat. If your cat had just gotten declawed, this is possibly why it stopped using the litter box. Because of the pain and sensitivity from the declawing, your cat may dislike having to scratch its litter. You can look for alternative litter material that will not hurt your cat, like aspen or pine wood shaving, or soft paper litter. Do you have any problems with your cat not using the litter box? Share some of your tips if you have any! My cat loved his litter box until he didn’t. Then he made sure EVERYONE knew he didn’t like his litter box. I literally had to go and buy a new one. I still don’t know what it was that made him hate it, but he sure got his message across! Aww, I miss not having kitties! My husband is allergic so we can’t have any. But these are super helpful tips for cat owners! Luckily I’ve never had to experience this. My old roommate had a cat years ago (my only experience living with one) but to my recollection this was never an issue. Great pieces of advice! My cat always uses the litter box and we keep it in the back hallway away from his food and it’s not high traffic. He likes to hang out in that area too lol so I know he likes it there. UGH I’m having this issue right now and it’s infuriating. One of my cats pees on piles of clothing or anything that looks like a pile and my other cat. . .well he used to pee on everything but he had a blockage and had to get a very expensive surgery. Anyways, this is a constant issue in our household. This is so insightful. 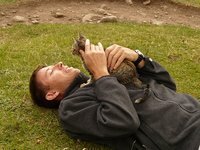 I kind of feel sad for the little kitties now after reading this to know that they may be going through something and not be able to communicate it to us. 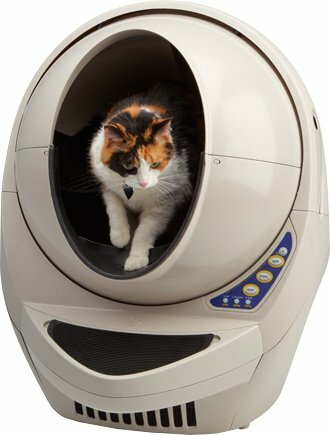 I am sure this would be helpful to a new cat parent. My elderly cat stopped using the litter box a few months ago. We moved one down closer to her and she was fine. Turns out she didn’t like walking upstairs past the new puppies! So location does make a huge difference!